This 20-hour course includes 3 online modules and a 2-day practical workshop. This course is the first step to prepare the instructor to teach the original Mat exercises developed by Joseph H. Pilates. Participants will learn how to properly align the body in any body position and will leave with an understanding of how and when to modify or progress the exercises for the general population. This course includes a practical exam and an online written exam. This is the first course required for all PHI Pilates trainings. This 10-hour course includes 3 online modules and a 1-day practical workshop. Pilates Mat Level II will lay the foundation for critical thinking for the Mat Pilates instructor. Less emphasis is placed on the performance of advanced level exercises and more emphasis is placed on preparing the instructor to handle the challenging participant. Learn to develop a program that will meet client goals, adjust to special needs, mix advanced and beginner students, and some new advanced exercises. This 7-hour course teaches choreography to simulate Pilates exercises using the ring and foam roller. These exercises are designed for group Mat work, personal training, or rehabilitation and will provide many creative ideas for modification and progression of traditional Mat exercises. This 20-hour course includes an online written exam and a 14-hour practical workshop. 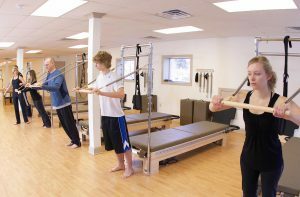 The basic foundations of teaching on the Reformer apparatus are introduced as well as proper use and maintenance of the equipment. Participants will learn to use the moving carriage to teach proper movement patterns and progress or modify a client’s exercise program. 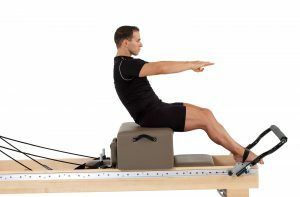 After completing this course, the instructor will be able to create a basic group Reformer classes. This course includes a practical exam and an online written exam and is a required course in the curriculum progressing to full Pilates training through PHI Pilates. This course is a 14-hour practical workshop that will prepare the Pilates instructor to teach more advanced Reformer classes and personal training sessions on the Reformer. A discussion on developing client goals based on posture is included as well as more advanced Reformer choreography. This course includes a practical exam. 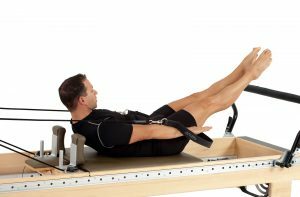 Reformer Foundations II is a required course in the curriculum toward full Pilates training through PHI Pilates. This 14-hour practical course presents creative and effective choreography that will add new life to your classes and privates. Exercises range from sport-specific to rehabilitative. We will explore the core, the shoulder girdle, the hip, the foot and the knee with exercises to enhance posture and promote healthy movement patterns while making your classes more interesting and challenging. This course is a 8-hour practical workshop. Choreography for the Tower/Cadillac is presented for either group exercise or personal training. Students will learn the original repertoire, exercise modifications and progressions, and new innovative combinations. This course is a requirement for full training with PHI Pilates. This course is a 8-hour practical session. Students will learn the original Chair exercises of Joseph H. Pilates and methods for modification and progression. These exercises can be combined for either a group exercise class or a personal training session. This course serves as a requirement for full training through PHI Pilates. This 8-hour practical workshop introduces the Pilates instructor to the most innovative technique in Pilates exercise. Students learn choreography that combines the Tower with the moving Reformer carriage providing a challenging workout for experienced Pilates teachers and clients. This course serves as an elective with PHI Pilates.